Out of all of your racing gear, your helmet is arguably the most important piece of safety equipment. 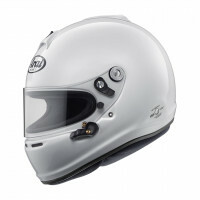 Proper fit plays a crucial role in how well your helmet will protect you in the event of an accident. A great fit also ensures your comfort, and more comfort means less distracted (read: safer) and more enjoyable driving. These may seem to be the same thing, but they are not. The first thing to know is that there is no universal road racing helmet sizing chart. 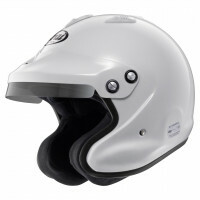 DIfferent road race car helmet brands have different sizing -- an Arai size L may be an HJC size M, for example. So you’ll need to measure your head, and then compare your measurements to the manufacturer’s helmet sizing chart. 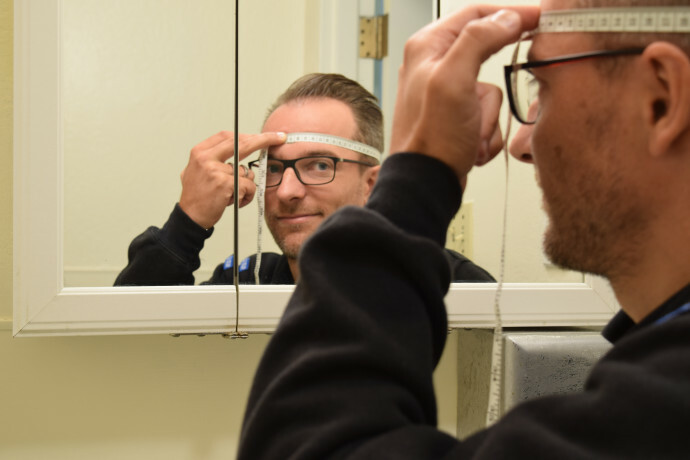 To measure your head, you’ll need a tailor’s tape measure (more flexible than a regular tape measure) or a piece of string and a regular tape measure. 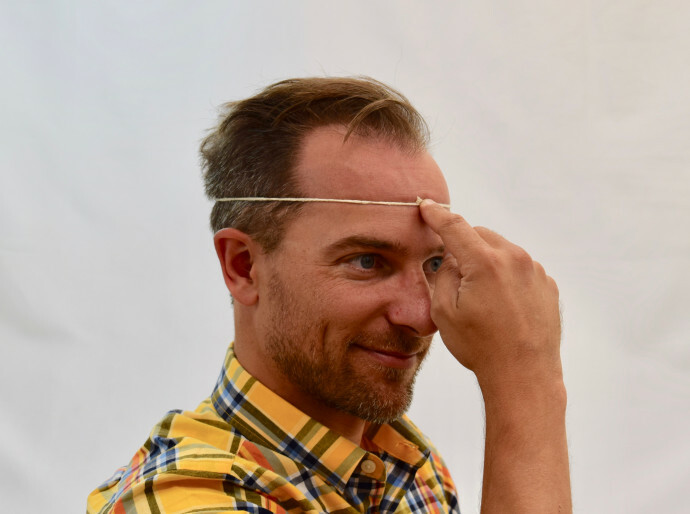 Wrap the tailor’s tape or piece of string around the widest part of your head (typically just above the ears and about 1/2 - 1 inch above your eyebrows. It should be taught but not super tight. If using tailor’s tape, note the measurement and compare it to the manufacturer’s size chart. If using a piece of string, measure the length of string with a regular tape measure or ruler. Compare the measurement to the manufacturer’s size chart. Don’t have a tailor’s tape measure? Shoot us a note and we’ll send you one on the house. If your head size is in between a helmet brand’s size, it’s better to choose the larger rather than the smaller size. You’ll never want a too tight helmet, but differences in face and head shape may mean that the larger size fits just fine. You could also choose to order two sizes to compare and contrast, and return the ones that don’t fit. Our No BS Return Policy gives you 30 days to complete the return for a full refund, with no restocking fees. 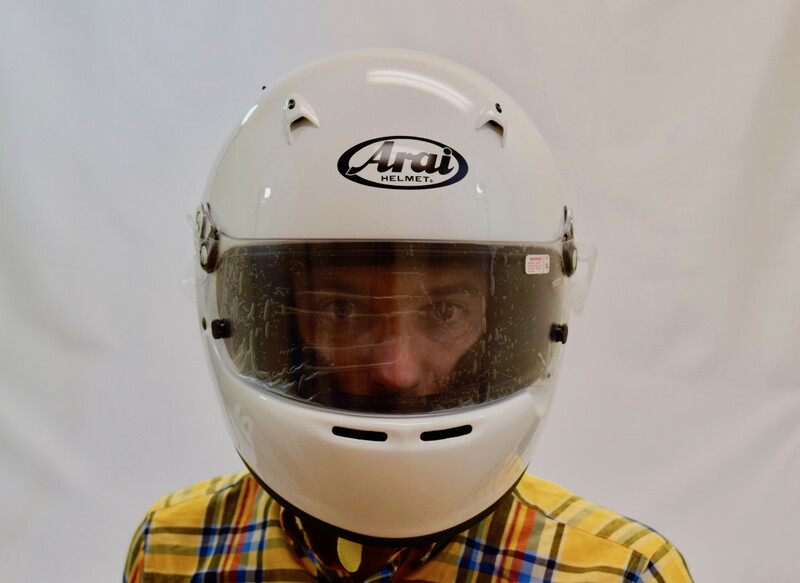 New helmets should feel slightly tight, with the interior coming into contact with most of the head, but not so restrictive that it causes any pain. There shouldn’t be any "hot spots" -- places where the helmet's interior puts pressure on specific points of the skull or face -- but the helmet shouldn’t move around freely. With time, a helmet adjusts to match the shape of the your head as it breaks in and loosens a little. However, it should never become loose enough to easily turn from side to side. Put the helmet on -- it should be a little tight as it goes on over your head. The helmet should sit on the head evenly with the eye port's upper edge just above the eyebrows and offer good peripheral vision. The helmet shouldn’t touch the nape of your neck. The chin strap should fit snug but not too tight to cause discomfort or choking. Securely fasten the chin strap and try to roll the helmet off your head. If the skin on your forehead moves slightly, that’s the sign of a good fit. Put a finger between the helmet interior and the head. If it easily fits, try a smaller size. Some helmet models allow a change in the cheek pads for better fitment, so consider this when checking for proper sizing. If the helmet appears to fit well per the above guidelines, we still suggest wearing it for 10-15 minutes to ensure there are no hot spots, which sometimes don’t present themselves immediately. If you’re concerned that you’re in between sizes, or want to compare and contrast several helmets, you may consider ordering more than one and returning those that don’t fit. With Torqued’s No BS Return Policy, we’ll never charge you a restocking fee, and will accept returns for a full refund within 30 days. Below are a few of the models that we carry here at Torqued along with some ways to further customize your helmet.